For many organisations, a utopian waste management solution is one which is sustainable, self-sufficient and profitable – commonly referred to as a closed loop model. And with plenty in the news recently about the UK’s evolving waste issue, it’s no surprise that the building and facilities management industry is seeing an emerging trend in the number of firms seeking ways to develop and implement their own circular – less linear – approach. We recently spoke to Building & Facilities Management about the importance of adopting a sustainable waste management model and about how Gatwick Airport has achieved this. If you missed the original write-up, you can read it here! Spanning plastic pollutants to food waste, the environmental impact of our society’s throwaway mentality has been topic of conversation in many industries. And as a consequence, there has also been a tidal wave of support for the reduction of food waste and non-recyclable packaging from government bodies, supermarkets and businesses alike – all pledging to take preventative action against the waste conundrum. From the Government’s 25 Year Environment Plan and the Chancellor’s Spring Statement, to David Attenborough’s Blue Planet TV series, there’s never been a more overt focus on what the corporate landscape – and the nation as a whole – can do to safeguard the Earth’s reserves, to achieve a greater level of resource security. Whether public buildings and cafés, or colleges and airports, the vast majority of operational facilities generate some form of waste, and often at a considerable cost to their bottom line – if not handled correctly, of course. In the case of airports, it’s reported that globally the airline industry generates more than five million tonnes of cabin waste each year, to which a hefty disposal price tag of over £400m is attached. One of the main issues facing the airport sphere is that under government policy, Category 1 International Catering Waste (CAT1 ICW) from non-EU flights is classed as a ‘high-risk’, as it may contain animal by-products. In turn, this makes it a rather tricky – and often costly – waste stream to dispose of. In light of this, 2016 saw the British Airways in-flight catering facility at Heathrow Airport – managed and operated by DHL – decide to assess both the environmental and financial expenditure of its waste disposal. It found that 2,200 tonnes of the contaminated food and packaging materials were being sent to licenced hazardous waste landfill sites – as this was the only place the materials could be safely disposed of. 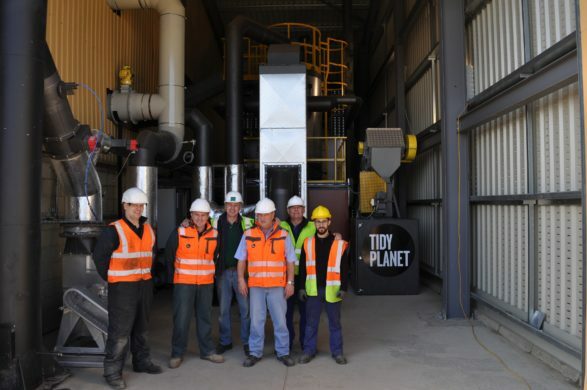 Subsequently, this discovery acted as one of the primary driving forces behind its commitment to finding a sustainable remedy – one which later saw it become the world’s first airline caterer to begin dealing with the troublesome waste stream on-site, thanks to a solution developed by Tidy Planet and DHL Envirosolutions. British Airways’ successful attempt at reassessing and optimising its waste handling process then catalysed DHL Supply Chain’s second eco-project at another of London’s major airports the following year – this time at Gatwick. Generating over 10,000 tonnes of CAT1 and ‘low-risk’ CAT3 waste each day, this airport also needed a long-term, robust and on-site solution. Technological innovation of course made these requirements possible, and in an effort to develop a resource from its waste, the airport invested in a £3.8m Waste-to-Energy (WtE) plant. This process sees CAT3 wastes from the airport transported to the site’s Materials Recovery Facility (MRF), where DHL workers separate them into two categories – recyclable and non-recyclable. Recyclates such as paper, cardboard and plastic are diverted along one conveyor belt to be sent off-site for resource recovery, whereas items such as wet food waste and food packaging undergo a drying process to turn them into a biomass fuel. 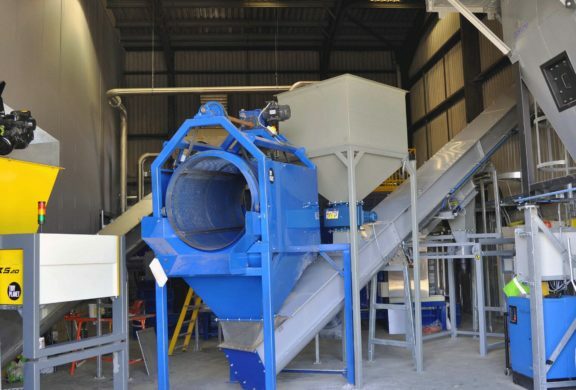 Given that the manual processing and separation of organic wastes is a time-consuming and difficult task, this is sent directly for drying – where it is dehydrated at high temperatures, to create a granular biomass fuel for the IED-compliant biomass boiler. The food-waste-to-energy system can produce 22,500kW of heat each day and has not only drastically reduced the volume of waste which was previously destined for landfill, but it has also saved the airport in hefty collection and transportation costs and reduced its carbon footprint. The financial benefits may be aplenty, however another major advantage is that the energy generated from this process is now being used to heat the site, and there are also plans to use this to generate electricity – a prime example of closed-loop success. The plant’s design took almost five years to perfect, but this is a short timeframe considering the ethical and resource benefits being reaped by the airport on a daily basis. And in reality, Gatwick is just one of the many pioneering examples of how, with a little bit of research and planning, building and facilities sites – such as hotels, hospitals, supermarkets, universities and other airports – are able to create eco-friendly business models that harness their waste, omit the middlemen and boost their sustainability footprint.